The highly anticipated Ignition tweak by Adam Bell has finally been released and is now available for download. 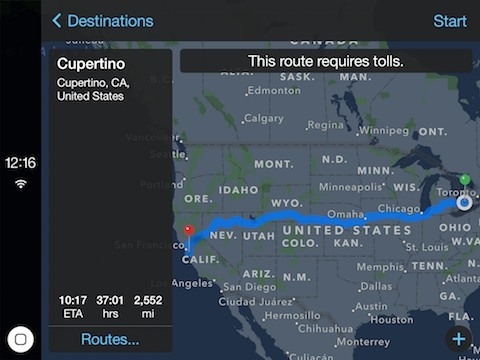 Ignition is essentially an app that brings the fully working user-interface of Apple CarPlay to iOS, allowing users to use their iPad as a CarPlay display. It features some stock and third-party apps with enlarged icons and special user-interfaces that have been redesigned to be used in a car while driving. 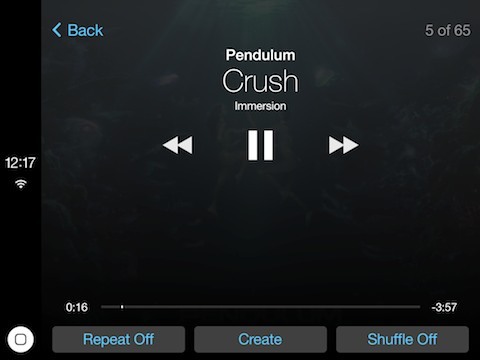 Just like the original CarPlay design Ignition also features a home button on the left side. This left side area also shows current time and signal strength. The initial release of this Cydia app features eight applications that have been redesigned for CarPlay. This includes the stock Music app, Google Maps, Messages, Phone, a now playing app for Music, Podcasts and third party apps like Overcast and Spotify. 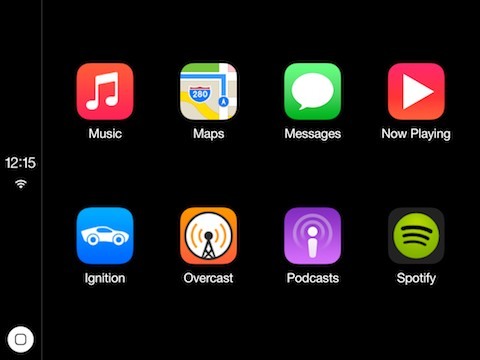 Ignition works same as official CarPlay does and also integrates Siri, which lets users send text messages or call people in their contact list through dictation. Ignition app places an icon on the homescreen. When you tap on it in normal iOS mode the device restarts and relaunches in the special Carplay interface. Once you are done using Ignition you can simply tap on its icon at which point the device restarts again and returns to the normal mode. As you can see in these screenshots this Cydia app brings the native CarPlay interface to iOS making it possible for users to use the feature without owning a fancy car or expensive equipment. While using this interface you can simply tap on the on-srcreen ‘Home’ button at any time to return to the homescreen. You don’t need a car to try out Ignition, however if you plan to use it while driving then the app will not disappoint you. Unfortunately Ignition app only supports iPad for now. While you will be able to install it on your iPhone the interface would simply not fit your screen size. The app is somewhat usable on the iPhone 6 Plus but still has issues. If you really want to try it out then you can also use Upscale tweak on your iPhone 6 to change its resolution and use this app. Ignition app is available for free in Cydia under the BigBoss repo. It requires iOS 8 or above to run.